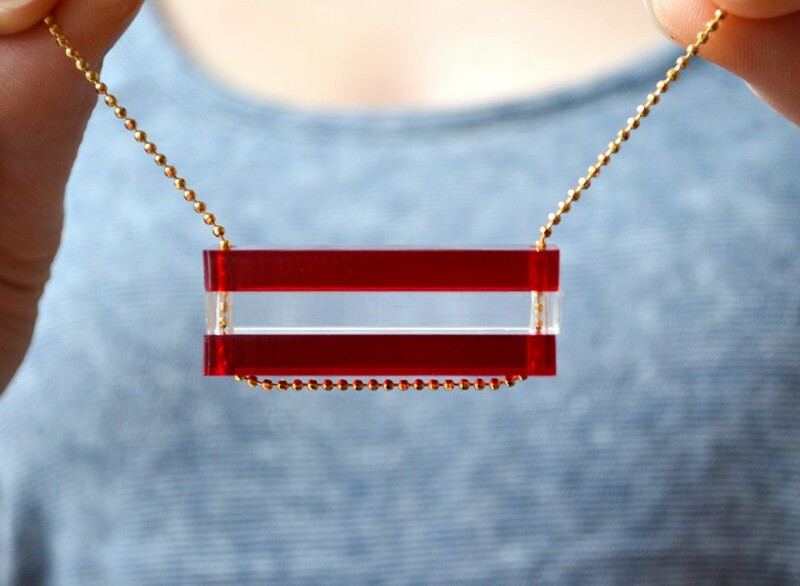 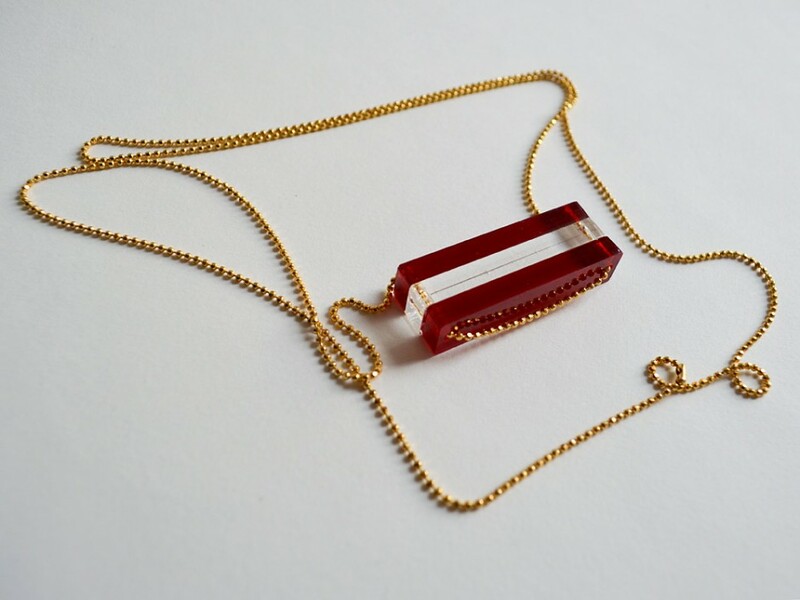 Candy cane striped laser cut acrylic bar necklace! 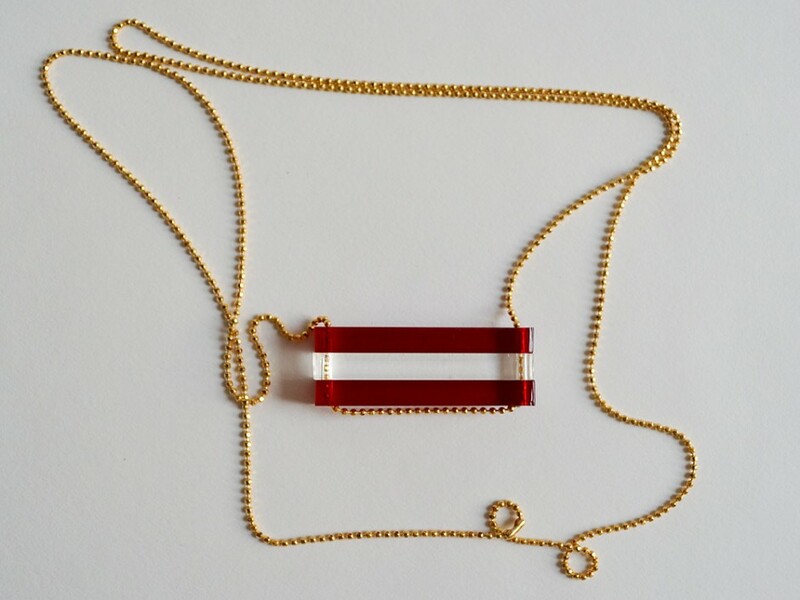 We designed and custom laser cut the bar beads for this festive necklace. 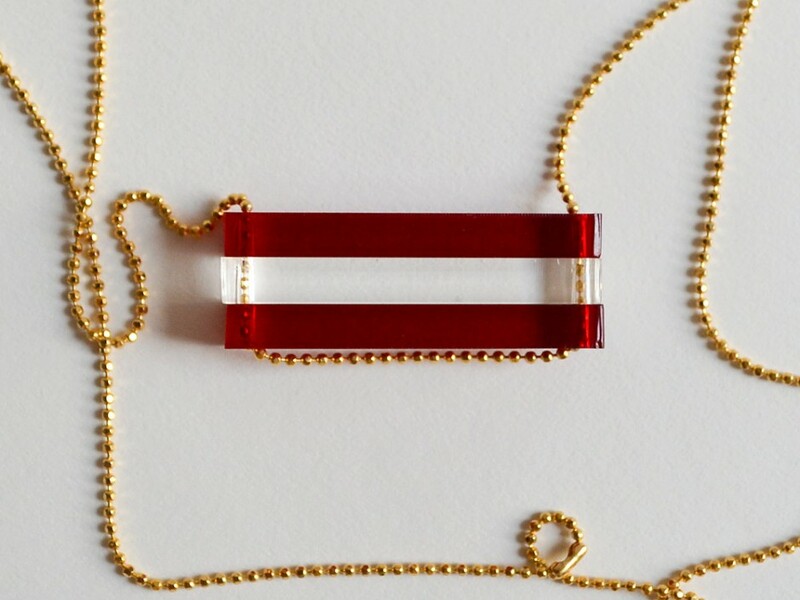 It’s perfect for women and men. 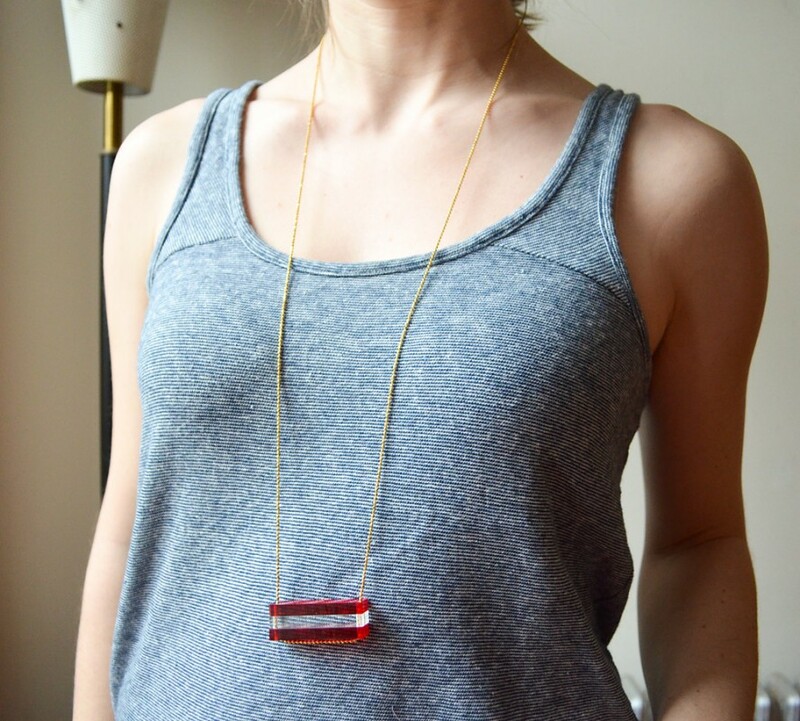 Also great for layering!